Spaghetti Strap. 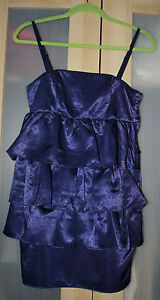 Dark Blue Satin. Size:6 (36). I am fair and honest but I will not tolerate dishonesty and haggling.